A look back at the top performers of the season gone by who, in all likelihood, have managed to find their ways into the good books of the selection committee. The 85th edition of Ranji Trophy finished with Vidarbha being crowned champions for the second year running. It was yet another defeated season for the Maharashtra side who managed to achieve what very few teams have in history — defend their championship. After a hard-fought Ranji Trophy final against Saurashtra, Faiz Fazal and Co lifted the trophy in Nagpur last week. 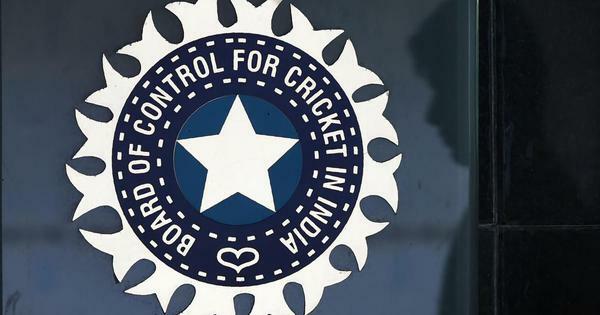 “I feel that the boys must get justice for their performances at the national level,” Vidarbha Chandrakant Pandit was quoted as saying by Times of India. On that note, we take a look back at the top performers of the season gone by who, in all likelihood, have managed to find their ways into the good books of the selection committee to be considered for the A-team as well as the senior side. Vidarbha are only the sixth team in the tournament’s long history to have defended the title. Mumbai, Maharashtra, Karnataka, Rajasthan and Delhi are the other teams who have managed to win consecutive titles. Saurashtra, meanwhile had ended runners-up to Mumbai in 2012-13 and 2015-16 and again it was a case of so close yet so far for them. It was a season to rememeber for Wasim Jaffer, who now has 10 Ranji Trophy title wins to his name, with eight for Mumbai and two for Vidarbha. Only Ashok Mankad and Ajit Wadekar have been on the winning side more times. 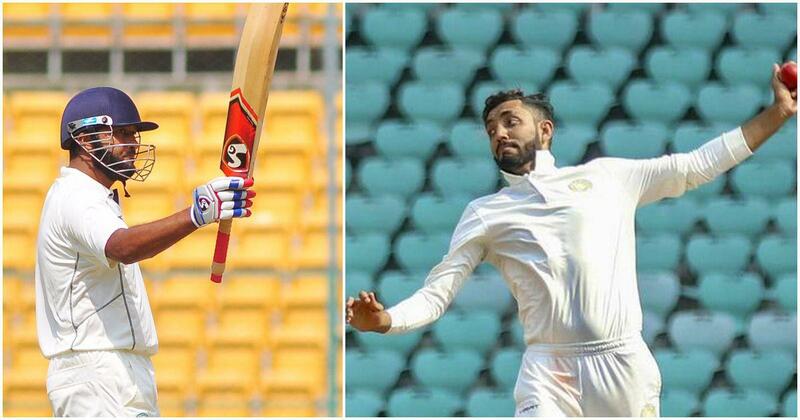 Jaffer is undefeated in Ranji Trophy summit matches. With 149 appearances to his name, Jaffer now has most Ranji Trophy caps of all time. He went past the previous record of 145 matches by Madhya Pradesh’s Devendra Bundela during Vidarbha’s last league game against Saurashtra in Rajkot. Jaffer became the first player in the history of grand-old tournament to aggregate 1000-plus runs in two separate seasons. He scored 1260 runs for Mumbai ten years ago in the 2008-’09. In this edition, he became the first player to go past 1000 runs in a season for Vidarbha. He also became the first player to score 11,000 runs in Ranji Trophy history. VVS Laxman’s record (1415 runs for Hyderabad in 1999/00) for the most runs in a single season was under serious threat from Sikkim’s Milind Kumar but he fell just short. Away from the Plate Group (which saw plenty of runs scored and wickets taken than the Elite Group A, B and C), it was Jaffer who topped the charts and we have spoken enough about him already. The other star performers in the top rungs were Priyank Panchal (Gujarat) and Abhimany Easwaran (Bengal). The former led from the front for Gujarat in Parthiv Patel’s absence and has earned a call-up to the India A squad deservingly to face England Lions. Another prolific run-getter was Easwaran who finished the season with two daddy hundreds and single-handedly kept Bengal in contention for playoffs. Rinku Singh won’t just be remembered for his IPL contract, as he starred for Uttar Pradesh this season with 953 runs. One name that didn’t feature in the top-10 list is Shubman Gill (728 runs in 9 innings at an average of 104) who truly had a fantastic 2018. The start of the Under-19 World Cup (player of the tournament) first impressed in the IPL season, and then followed that up with a breakout first-class season for Punjab (impressing in the Duleep Trophy as well). It was no wonder then that he was given his India call-up for the tour of New Zealand. Perhaps unsurprisingly, the wicket-taker charts were dominated by spinners. Much like the batting table, another player from the Plate group topped the list. It was Ashutosh Aman from Bihar who took 68 wickets at an astounding average of 6.48. In the elite groups, it was Dhramendrasinh Jadeja who impressed the most. Leading the Saurashtra spin attack in the absence of his namesake Ravindra, Jadeja finished the tournament with 59 wickets, which according to ESPNCricinfo, put him fifth on the all-time list of wickets in a season. And he didn’t just impress at home (as is the norm with Saurashtra spinners recently) as he took 29 of his 59 wickets at away venues. Behind Jadeja was Aditya Sarwate, who became the first man since the legendary BS Chandrasekhar in 1977/78 to register a five-wicket haul in each innings of the Ranji Trophy final. It wasn’t just the final he impressed in, taking 11 wickets, the Vidarbha left-arm spinner finished with 55 wickets overall. The two names who don’t figure in the spin-heavy list are Jaydev Unadkat (Saurashtra — 39 wickets, 14 innings, average 17.17) and Umesh Yadav (Vidarbha — 23 wickets, six innings, average 12.26). The former also impressed as the captain of Saurashtra while Umesh came back from Australia with a vengeance to bag player of the match awards in two of the three knockout games he played. Elsewhere, playing for Puducherry, Pankaj Singh became the first pacer in Ranji Trophy to reach the milestone of 400 wickets. And for an impressive Rajasthan side, Tanveer-ul-haq and Aniket Choudhary led the way, with the two pacers combining for a total of 100 wickets in the season. And with both being left-armers, expect them to feature on the senior selectors’ radars. With Khaleel Ahmed also, in their ranks, Rajasthan seems to be the hot-bed for producing left-arm seamers. So, who among these names will go on to have to stellar domestic and international careers? Share your inputs with us on social media @thefield_in or email us at fieldfeedback@scroll.in.